01.) Okay, are y'all on Periscope? If not, you should check it out. It's a free live streaming video app that is connected to Twitter. I don't follow a ton of people but I've already learned a ton of new things. It's so cool because since it's live you see the real deal, not all perfectly edited video, so you get a truer sense of who these people are. You can also engage in conversation through chat bubbles. I've gotten the biggest kick out of @bretjohnson11 (@ChaleneJohnson's husband), the Hangry Chef, who's doing a 30-day clean eating challenge where he shows us what he fixes for his family. I already have a list of meals to try. The fabulous thing is that they all use easy ingredients, look delicious and are pretty healthy. I stumbled across @ErinCWoodbury through @CoachGlitter and have learned a few more healthier cooking tricks and tips. 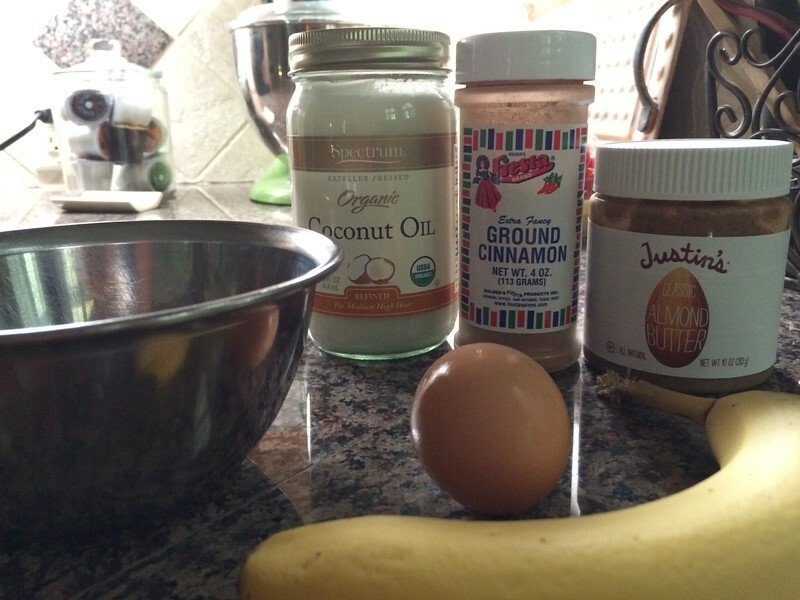 She did a Scope about potato-less potato salad I must try and 2-ingredient Paleo Pancakes. I've already made the pancakes twice this week. I probably shouldn't eat these too often since bananas have a lot of carb/sugar but they are very filling and quite tasty, and don't forget simple! 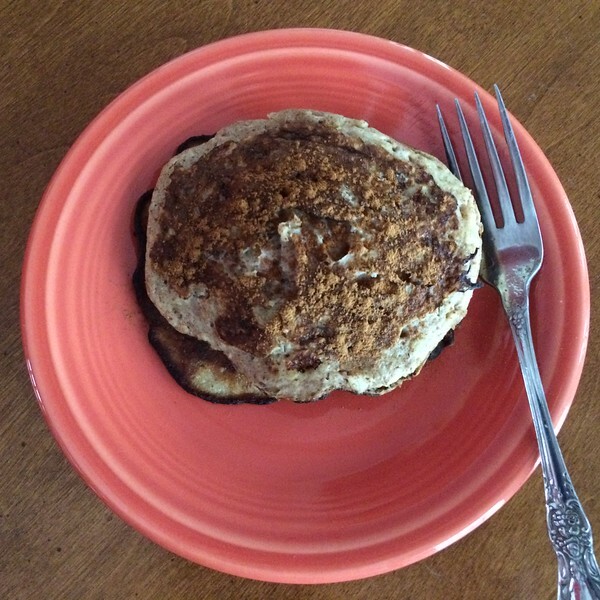 I put a little almond butter between the pancakes and it was so yummy. 02.) Annelise starts school next week, Tuesday to be precise. WHAT? We have an open house/meet the teacher thing Monday afternoon. She's excited to see her friends and meet the teachers but is also a little nervous. 03.) On a related note, she's curious about any sixth grade girls wearing make-up. I think some might and some won't so I told her to wait and see what the general vibe is after school starts. She really just wants to try out mascara, which is fine, but isn't interested in anything else yet, so that's good. We bought her some clear mascara which was pretty much a waste of $7.00 because it didn't do anything. But she might start with that anyway. A light schwoop of real mascara isn't that big of a deal, so maybe. She does wear a light powder (Cover Girl) sometimes to help cover any breakouts (yes) and lip balm (Baby Lips) or light gloss sometimes. 04.) I've been consistent with getting my workouts in every day which feels great. 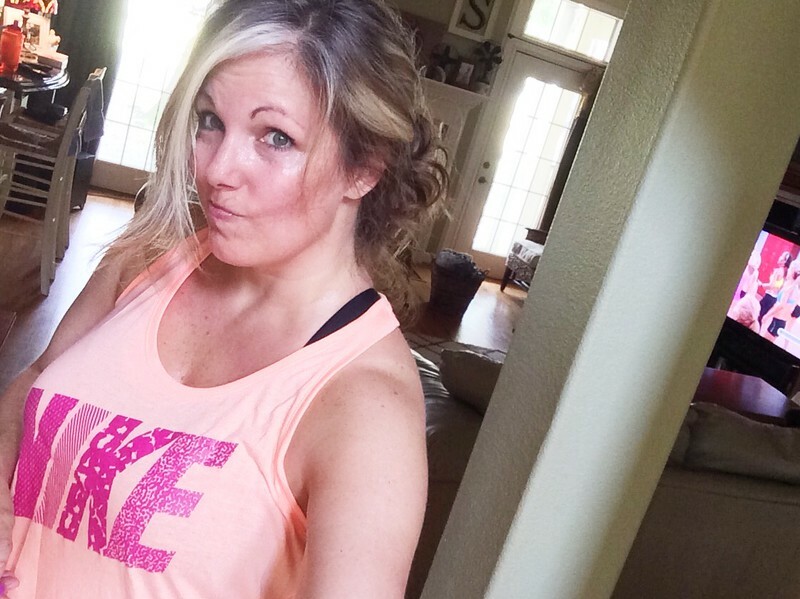 I think I am the type of person that needs to workout every day, or at least 6 days, or I start making excuses. I'm also learning that a combination of weights and cardio make the most impact (I knew that but hadn't been following that for quite some time) and I can see progress sooner. This week was a combination of ChaLEAN Extreme Push Circuit and Les Mills Combat, again, and I tossed in a Les Mills Pump and TurboFire HIIT for some variety. You know it's a good workout when your messy bun starts out on the top of your head ends up low on your neck. I hadn't done Turbo in a while and it was SOOO fun! 06.) I know it's not too pretty, but this is my favorite go to breakfast or snack. 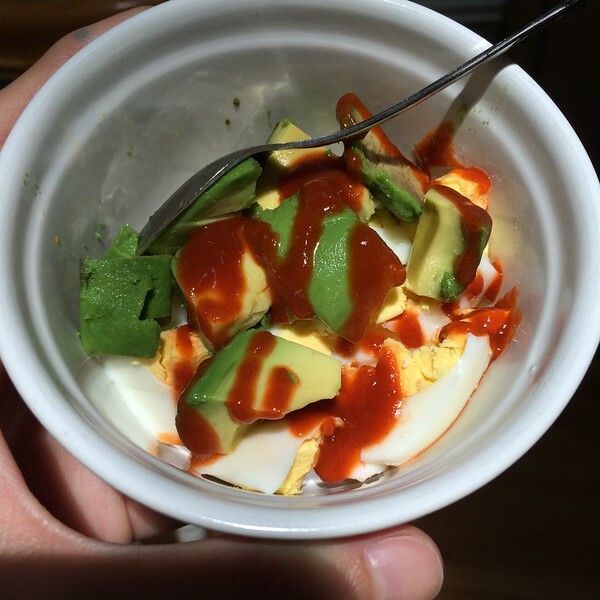 Hard boiled egg, half an avocado and some Sriracha for some kick.